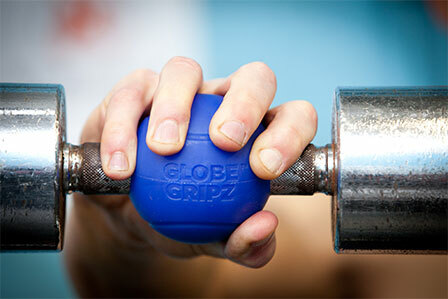 ﻿ GLOBE GRIPZ™ - The Planet's Ultimate Workout Tool! The planet's Ultimate workout tool! 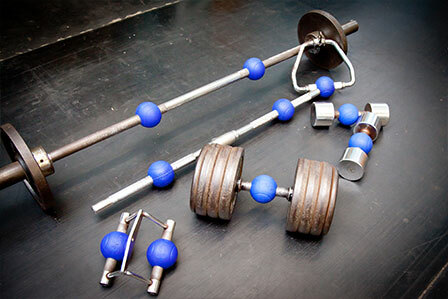 Multi-grip globe attachment for barbells, dumbbells, and cable handles. How do Globe Gripz™ help? Unique all-digit thick-grip for increased grip requirement during almost any exercise. Great for adding variety too. Adopt an EZ-Grip or Neutral-Grip on a straight bar to reduce respective strain on the wrists or shoulder complex. Use your favoured pitching/ bowling grip to perform sports-specific weighted exercises. 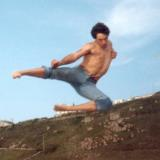 Popular for grappling-style (MMA) work too. GLOBE GRIPZ™ are designed for use with generic standard (1”) and Olympic (2”) bars, cable handles, and dumbbells. Fitted in seconds, GLOBE GRIPZ™ can be used comfortably with bar/ handle shafts measuring 25mm to 32mm in diameter, as pictured. GLOBE GRIPZ™ measure 73mm across - the approximate diameter of a baseball, tennis ball, or cricket ball - making GLOBE GRIPZ™ ideal for sports-specific training and incredibly comfortable in the palm. GLOBE GRIPZ™ are made from an FDA approved high-grade elastomer polymer, which ensures they will not split or crack and are wipe clean. Reduce wrist strain with an EZ-style grip. Avoid shoulder discomfort with a Neutral-grip. So, here they are: an evolution in weight training: the new GLOBE GRIPZ™ - now available to order with Free Shipping within the UK. Price is for a pair, including box. In stock and sent by post from the UK. 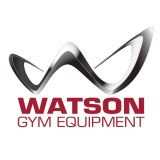 Please Note:Globe Gripz are also available in the UK through our official UK retailers Gym Ratz, Strength Shop UK, Watson Gym Equipment, Valley Fitness and The Gym Revolution. Please click 'Locate a Dealer' to find your nearest. Have you tried our Deadlift Deadener™? In stock. Order GLOBE GRIPZ™ Venus. The ergonomic benefits of GLOBE GRIPZ™ have been widely reported across the globe (excuse the pun! ); however, whilst we have many female fans and users of GLOBE GRIPZ™, I have been told consistently over the past couple of years by Mrs. “Gym Professor®” and others “I love your Globe Gripz™ - I'd really like a slightly smaller pair, and in pink”. Well, never one to let Mrs. “Gym Professor®” and our fans down, here you go: GLOBE GRIPZ™ Venus. Why are GLOBE GRIPZ™ different? Far from just another fat (thicker) grip, our unique patented design allows for increased exercise variation and can help improve both gross and fine motor skills. GLOBE GRIPZ™ allow the hand to form arches it may not otherwise do in a weight training environment and, during an orthodox grip, can encourage greater recruitment of the less sensitive and dextrous Ring and Pinky fingers to help improve overall grip strength. In addition, GLOBE GRIPZ™ adapts barbells to be easily used with an EZ-Grip or Neutral-Grip to reduce respective strain on the wrists or shoulder complex. What do I receive with my order for 1 x GLOBE GRIPZ™? For a single order (quantity 1), you receive a pair of GLOBE GRIPZ™ (2 globes) and Instructions For Use within our multi-use postal tube/ presentation pack/ carry-case. For direct orders (through this website), goods are typically despatched from the UK by Royal Mail post within 24 hours of receiving your order (note: stock permitting). 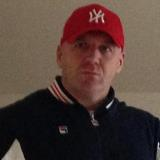 For UK orders, goods are sent via 1st Class post, therefore, the likelihood is that you shall receive your GLOBE GRIPZ™ the following working day. International orders are sent via Royal Mail Airmail Small Packets. Royal Mail’s delivery aim is 5 working days for most international destinations, including Europe, USA, Canada, Australia, and New Zealand. Forces addresses (APO and BFPO) may take longer. Globe Gripz are also available in many worldwide locations through our official dealers. To locate a dealer, please visit: Globe Gripz Official Dealer. Our dealers try to hold a good volume of stock. What are GLOBE GRIPZ™ made from? Hygienic and durable, GLOBE GRIPZ™ are made from an FDA approved high-grade elastomer polymer, which ensures they will not split or crack and are wipe clean (note: do not clean with a chemical that can damage the properties of silicone!). Will GLOBE GRIPZ™ fit my bar? As illustrated, GLOBE GRIPZ™ are designed for use with most generic standard (1”) and Olympic (2”) bars and can be used comfortably with bar shaft diameters measuring 25mm to 32mm. They are not best-suited for use with oversized bars (e.g. squat bars, cheaply made bars, ergo-grip bars) and are not designed for use with fat/ thick bars. What exercises can I perform with GLOBE GRIPZ™? How do I attach GLOBE GRIPZ™ to my bar? It takes seconds to add GLOBE GRIPZ™ to your bars, dumbbells, & cable handles. GLOBE GRIPZ™ are simple to use - just open the slit and push them over your bar. 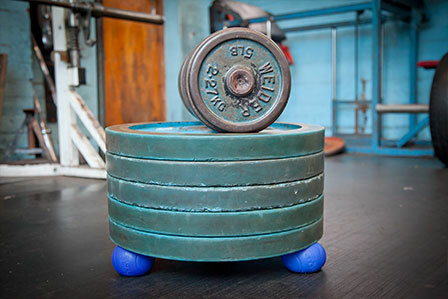 When they’re in place, they’re rock-solid on the bar - they won’t budge, slip, or compress – so you can focus on your lift. And when you’re done, just slip them off. How big are GLOBE GRIPZ™? The blue (Earth) GLOBE GRIPZ™ measure 73mm in diameter (each globe), the approximate dimensions of a Major League Baseball ball and similar in size to Tennis and Cricket balls. 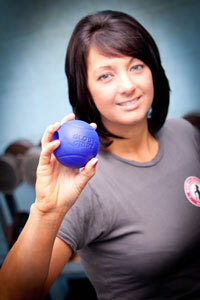 This makes GLOBE GRIPZ™ ideal for sports-specific training whilst also feeling comfortable in the palm. The pink (Venus) GLOBE GRIPZ™ measure 63mm in diameter and are the perfect ergonomic grip for smaller hands. They (Globe Gripz) convert any straight bar into a multi-angle curl bar. They also allow you to use a neutral grip with a straight bar when performing any pressing or rowing movements, a small change which many people find helps keep their achy shoulders from getting irritated. The pulling motions also become intense grip tests. The real attraction with Globe Gripz is how they allow you to experiment and discover your weak spots. For the first time, I could focus on my weaker fingers and build strength where it was lacking. These simple spheres add a whole new dimension to thick bar training. I’m impressed! Watch Jim's VIDEO REVIEW of Globe Gripz HERE! The simplest of ideas are often the best. 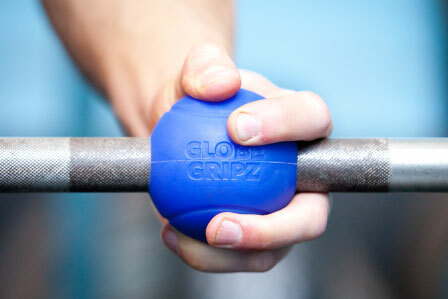 GLOBE GRIPZ™ is the most important workout aid since the invention of the EZ curl bar. 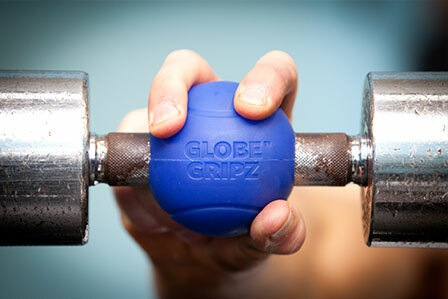 A must for anyone serious about weight training, GLOBE GRIPZ™ are the planet's ultimate arm builder! Got the Globe Gripz the next day - what a difference they make! Can really feel it in the fingers, hands, forearms - all movements are changed. To me that is great value, I have effectively changed almost every bar in my home gym and they can be used in different ways ... tripling the variety of lifts. Amazed that something so simple had not been done before, also impressed with the quality of the product, I expected it would be simple plastic but it seems a very robust material. Would likely make a great gift for anyone who lifts. I put them (Globe Gripz) on a pulldown bar and they work good for stiff arm pulldowns - making the grip more comfortable! Globe Gripz have been a great tool for working on my grip and forearm strength. They fit naturally into the shape of my hands and I’ve used them for doing pullups and hanging on for time. They really force you to work hard to keep your thumb and hand from opening up. Transform any of your regular Barbells, Dumbbells, Cable Attachments etc into Multi Functional, Muscle Fibre Recruiting, Grip Building devices by simply adding Globe Gripz. Globe Gripz quickly and easily attach to any regular sized bar instantly allowing various grip positions to be adopted and more muscle fibres stimulated. Globe Gripz can be attached within seconds and easily swapped between various bars without slowing down your training. A Must for everyones Gym Bag!! I really like Globe Gripz. Great activation through fingers, hands and forearms. I'll get the boys on them this week for sure. I haven't been able to train Barbell Curls without serious burning pain in my wrists and elbows for years. I finally said, "T HELL With Them," because I was sick of the pain, and used other exercises instead. However, with Globe Gripz on the bar, I am able to get out of that extreme supination position that Barbell Curls force upon you, and I can actually do them again. Now, the only burning is from the serious PUMP that I get! Suffering with a bit of an injury to the rotator cuff region recently and also get pain in the forearms occasionally, these (Globe Gripz) have helped relieve that. Helped out my grip, which also suffers in some exercises and has a more natural feel and connection to the bar, especially in curling exercises. As we all know, attacking muscles from new angles and being able to vary what we do is vital and the globes help that hugely. Comfortable to hold and a great alternative to a regular grip on the bar. plus, they're hygienic! i strongly recommend. I really cannot advocate the use of Globe Gripz enough:- it has changed the way I train forever! As a sufferer of Crohns and arthritis, my hands are badly affected and grip is something I struggle with. 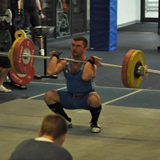 Wrapping my hands tightly around a standard bar often leads to cramping and my hands get stuck in one position which hurts me a lot! Since I started using globe gripz I noticed that it was so much more comfortable for me. Asides from that, I really feel like my muscles are being worked differently and it has been a welcome change to my routine! Highly recommended! It's a really simple piece of fitness equipment and for less than the price of a single physical therapy session, I have seen my single pair of Globe Gripz help a whole bunch of clients get rid of sore shoulders while make significant gains in grip and overall upper-body strength. They’re a must-buy! If you have bad joints like I do, holding a bar causes tremendous pain in the shoulder joint. When you distribute the weight over your entire hand with Globe Gripz, the shoulder doesn’t hurt as much - I love the way that it feels! 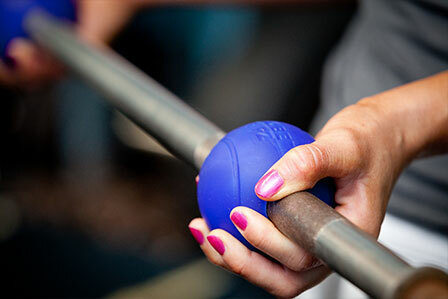 Anyone out there with injuries, try these Globe Gripz – they will help you and increase your muscular development too! I am impressed – they’re high quality! I've noticed my grip getting stronger and the doms are not as bad as they were - i've never felt my forearms ache so much. Still can’t get over the incredible arm pump you get with Globe Gripz. I have Globe Gripz in the shop alongside a pair of grip4orce "handles" and the Globe Gripz are far nicer to use - you can feel EVERY finger coming into play unlike fat gripz. So impressed, I've added Globe Gripz to our shop range of products. 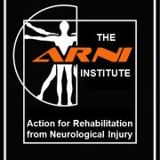 For stroke survivors, these are unique. I've already used some with patients and they work very well with patients with spasticity in upper limb. Big fan! Globe Gripz clip to most bars to test every digit as you pull or push. Use them for almost any dumbbell move to improve pull-up strength. Use these advanced grip trainers to boost your strength! Globe Gripz really do add a different dimension to workouts. They allow you to change the angle of exercises without lots of fancy equipment, they help promote grip strength and your wrists don’t seem to take such a battering. 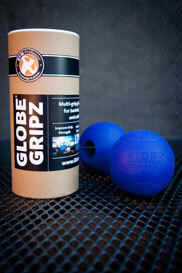 I will certainly be using Globe Gripz in my training as I feel they add a nice twist to many exercises. Get a grip - Globe Gripz. Holding onto stuff is surprisingly hard - it uses 35 muscles in our lower arms and hands. Clipping this spherical attachment onto any free weight provides multiple ways to grip, which in turn activates different muscles to build strength and improve pulling power. one of the greatest toys in health & fitness. Create a totally different grip for your hand which starts to engage your forearm muscles much more. What I Like: Size- can be brought anywhere for a workout; Durability- almost impossible to breakdown; Efficient- Allows you to incorporate more muscles into a workout/lift without adding extra reps or sets; Price- Seriously it’s totally worth it! What I Would Change: Nothing! 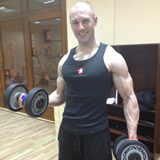 Pick yourself up a pair of Globe Gripz and see your forearms GROW! Love your product! Keeping myself educated with the latest trends in strength training, recently I have used Globe Gripz in my training changing the way you hold dumbbells and bars adds a new dimension to exercises and decreases strain. GLOBE GRIPZ™ allow me to train more efficiently and effectively - they've changed the way I train overnight and I'm reaping the benefits. Having arthritis in my left thumb joint along with inflamed tendons in the left elbow, training was painful for everything on the left. Since using Globe Gripz VENUS, I’ve found the pain has reduced, taking pressure off the affected joints, and allowing time for healing, yet I’ve still been able to continue training. The Verdict… My clients love them and so do I! 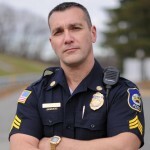 When not involved with off-line commitments (lectures, nutritional advice, consultations, personal training, strength coaching), we (the Gym Professor and Fellows) hope to create a comprehensive free on-line resource relating to: nutrition, diet, training, sports performance, fitness, gaining muscle, losing fat, anatomy, kinesiology, steroids, and far more besides. 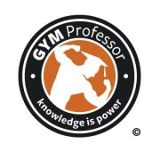 In short, everything we find (& hopefully you find) of interest relating to sport, we plan to write about in a clear and concise manner at www.GymProfessor.com . GLOBE GRIPZ™ are used at your own risk. No claim or opinion on these pages is intended to be, nor should be construed to be, medical advice. Please consult with a healthcare professional before starting any diet or exercise program. 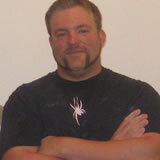 GLOBE GRIPZ™ is a registered Trade Mark (TM2629121) belonging to GymProfessor.com. The GLOBE GRIPZ™ product is the subject of Patents GB1208348, GB1209908, and GB4025951. All rights reserved.